These meatballs are so flavorful, and they’re a great change of pace from the usual Swedish-style kind, too. 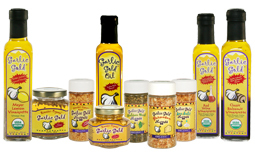 Inspired by an Asian pantry, they’re flavored with spicy ginger, toasted sesame oil, and Garlic Gold® Sea Salt Nuggets. A sweet and tangy plum sauce glaze makes them as pretty as they are delicious. Make these for any party occasion (think bridal showers, BBQ’s, or any get together, really! ), and serve them with toothpicks alongside. Each one is small enough to eat in a single bite, no napkin required. You can also place them in lettuce cups for a beautiful appetizer course! Preheat the oven to 375ºF and line a baking sheet with parchment paper or aluminum foil. In a medium bowl, use your hands to mix up the ground beef, egg, Garlic Gold® Sea Salt Nuggets, bread crumbs, ginger, soy sauce, and sesame oil. Roll into 1-inch balls and place on the lined baking sheet. Bake the meatballs for 20 minutes, until cooked through and browned. While the meatballs are baking, whisk together the plum sauce, Sriracha, and vinegar in a small (1-quart) saucepan over medium heat. When it comes up to a simmer, turn off the heat. 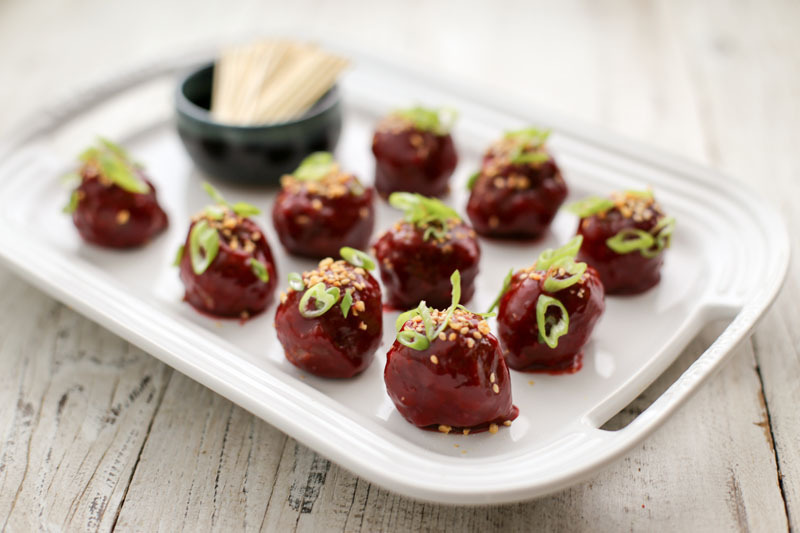 Dunk the meatballs into the glaze, then arrange them on a serving platter. Sprinkle with green onion, sesame seeds, and more of the Sea Salt Nuggets. Serve warm. You can find plum sauce in the Asian section of your grocery store.